Ноутбуки в Одессе. Купить ноутбук в Одессе. Нетбук и ноутбук Одесса. 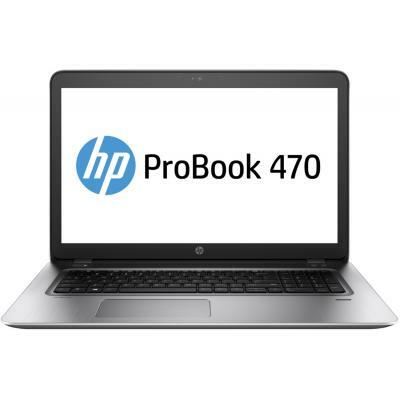 1LR92AV_V2 Ноутбук HP ProBook 470 G5 (1LR92AV_V2) 17.3', HD+ (1600 x 900), Intel Core i7 8550U (1.8 - 4.0 ГГц), 4 ГБ, 500 ГБ, 128 ГБ, NVIDIA GeForce 930MX, 2 ГБ, No ODD, Bluetooth, Wi-Fi, Gigabit Ethernet, DOS, 3 cell, 2.5 кг, Silver 12 мес. 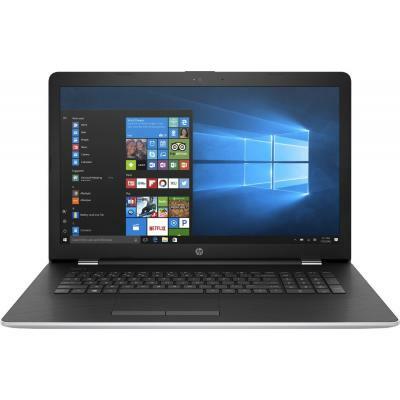 1MZ86EA Ноутбук HP Pavilion 17-ab212ur (1MZ86EA) 17.3', FullHD (1920 х 1080), IPS, Intel Core i5-7300HQ, 16 ГБ, 2 ТБ, NVIDIA GeForce GTX 1050, 4 ГБ, DVD-SMulti, Bluetooth, Wi-Fi, Gigabit Ethernet, DOS, 6 cell, 2.85 кг, Silver 12 мес. 20HK0004RT Ноутбук Lenovo ThinkPad P71 (20HK0004RT) 17.3', 4К (3840x2160), IPS, Intel Core i7-7820HQ (2.90-3.90 GHz), 16 ГБ, отсутствует, 512 ГБ, NVIDIA Quadro P3000M, 6 ГБ, н.д., Bluetooth, Wi-Fi, Gigabit Ethernet, Windows 10 Pro, 8 cell, 3.8 кг, Black 12 мес. 2GS41EA Ноутбук HP 17-bs039ur (2GS41EA) 17.3', HD+ (1600 x 900), Intel Core i3 6006U (2.0 ГГц), 4 ГБ, 1 ТБ, AMD Radeon 520, 2 ГБ, DVD-SuperMulti, Bluetooth, Wi-Fi, Gigabit Ethernet, Windows 10 Home 64bit, 4 cell, 2.6 кг, Black 12 мес. 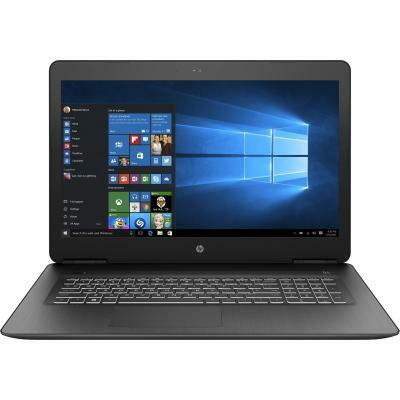 2HG50ES Ноутбук HP ProBook 470 (2HG50ES) 17.3', FullHD (1920 х 1080), Intel Core i7-7500U (2.7-3.5GHz), 8 ГБ, 1 ТБ, 128 ГБ, NVIDIA GeForce 930MX, 2 ГБ, DVD-SuperMulti, Bluetooth, Wi-Fi, Gigabit Ethernet, Windows 10 Pro, 3 cell, 2.6 кг, Grey 12 мес. 2LE08EA Ноутбук HP 17-ak074ur (2LE08EA) 17.3', FullHD (1920 х 1080), AMD A12-9720, 8 ГБ, отсутствует, 256 ГБ, AMD Radeon 530M, 4 ГБ, DVD±RW, Bluetooth, Wi-Fi, LAN (RJ-45), DOS, 4 cell, 2.5 кг, Silver 12 мес. 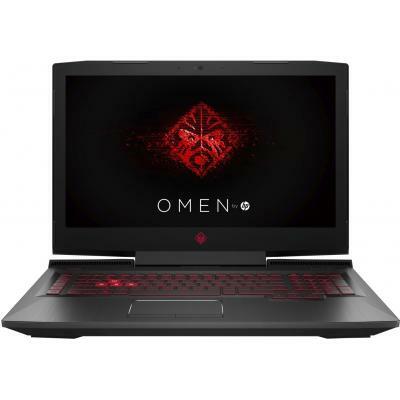 2LE49EA Ноутбук HP OMEN by HP 17-an054ur (2LE49EA) 17.3', 4К (3840x2160), Intel Core i7-7700HQ (2.8 - 3.8 ГГц), 16 ГБ, 2 ТБ, 256 ГБ, NVIDIA Geforce GTX 1070, 8 ГБ, No ODD, Bluetooth, Wi-Fi, Windows 10, 6 cell, 2.8 кг, Black 12 мес. 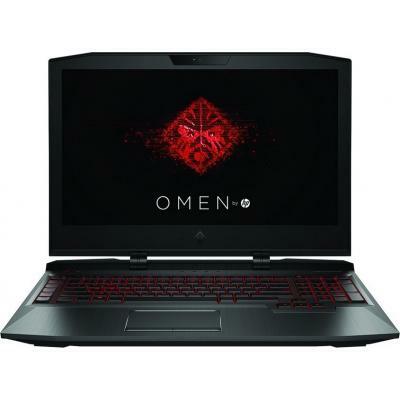 2PN79EA Ноутбук HP OMEN X by HP 17-ap001ur (2PN79EA) 17.3', FullHD (1920 х 1080), IPS, Intel Core i7 7820HK (2.9 ГГц), 16 ГБ, 1 ТБ, 256 ГБ, NVIDIA Geforce GTX 1080, 8 ГБ, No ODD, Bluetooth, Wi-Fi, LAN (RJ-45), Windows 10, 6 cell, 4.8 кг, Black 12 мес. 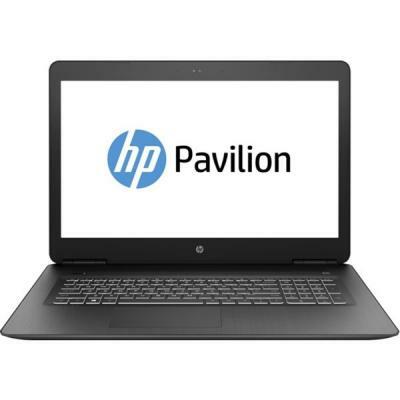 2PQ53EA Ноутбук HP Pavilion 17-ab317ur (2PQ53EA) 17.3', FullHD (1920 х 1080), IPS, Intel Core i5-7300HQ (2.5-3.5GHz), 8 ГБ, 1 ТБ, 128 ГБ, NVIDIA GeForce GTX 1050 Ti, 4 ГБ, DVD±RW, Bluetooth, Wi-Fi, LAN (RJ-45), Windows 10, 6 cell, 2.85 кг, Black 12 мес. 2ZG40EA Ноутбук HP OMEN by HP 17-ap000ur (2ZG40EA) 17.3', FullHD (1920 х 1080), IPS, Intel Core i7-7820HQ (2.90-3.90 GHz), 16 ГБ, 1 ТБ, 256 ГБ, NVIDIA Geforce GTX 1070, 8 ГБ, No ODD, Bluetooth, Wi-Fi, LAN (RJ-45), Windows 10, 6 cell, 4.8 кг, Black 12 мес. 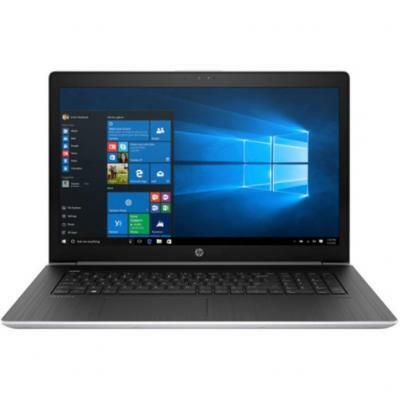 2ZH42EA Ноутбук HP ENVY 17 (2ZH42EA) 17.3', FullHD (1920 х 1080), IPS, Intel Core i7 8550U (1.8 - 4.0 ГГц), 8 ГБ, 1 ТБ, NVIDIA GeForce MX150, 2 ГБ, DVD±RW, Bluetooth, Wi-Fi, LAN (RJ-45), Windows 10 Home, 3 cell, 3 кг, Silver 12 мес. 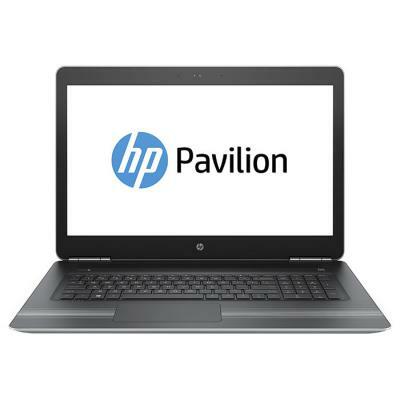 3DM05EA Ноутбук HP Pavilion 17-ab328ur (3DM05EA) 17.3', FullHD (1920 х 1080), IPS, Intel Core i7-7700HQ (2.8 - 3.8 ГГц), 16 ГБ, 2 ТБ, 128 ГБ, NVIDIA GeForce GTX 1050 Ti, 4 ГБ, DVD-SuperMulti, Bluetooth, Wi-Fi, LAN (RJ-45), DOS, 6 cell, 2.85 кг, Black 12 мес. 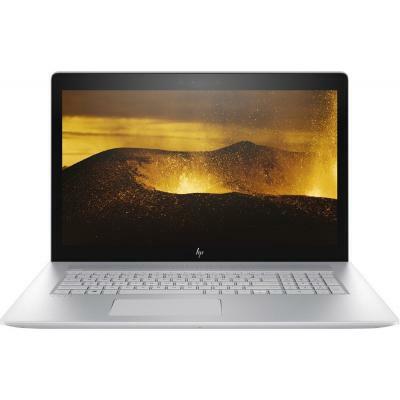 3DM06EA Ноутбук HP Pavilion 17-ab329ur (3DM06EA) 17.3', FullHD (1920 х 1080), IPS, Intel Core i5-7300HQ (2.5-3.5GHz), 8 ГБ, 1 ТБ, 128 ГБ, NVIDIA GeForce GTX 1050 Ti, 4 ГБ, DVD±RW, Bluetooth, Wi-Fi, Gigabit Ethernet, DOS, 6 cell, 2.85 кг, Black 12 мес. 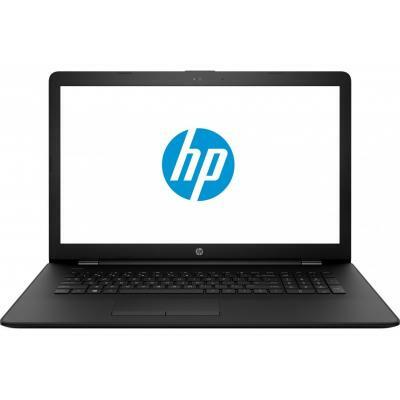 3DM08EA Ноутбук HP 17-bs106ur (3DM08EA) 17.3', HD+ (1600 x 900), TN+film, Intel Core i5 8250U (1.6 - 3.4 ГГц), 8 ГБ, отсутствует, 256 ГБ, AMD Radeon 530, 2 ГБ, DVD±RW, Bluetooth, Wi-Fi, LAN (RJ-45), DOS, 4 cell, 2.5 кг, Black 12 мес. 3VJ32ES Ноутбук HP ProBook 470 G5 (3VJ32ES) 17.3', HD+ (1600 x 900), Intel Core i5 8250U (1.6 - 3.4 ГГц), 8 ГБ, 1 ТБ, NVIDIA GeForce 930MX, 2 ГБ, н.д., Bluetooth, Wi-Fi, LAN (RJ-45), DOS, 3 cell, 2.5 кг, Silver 12 мес. 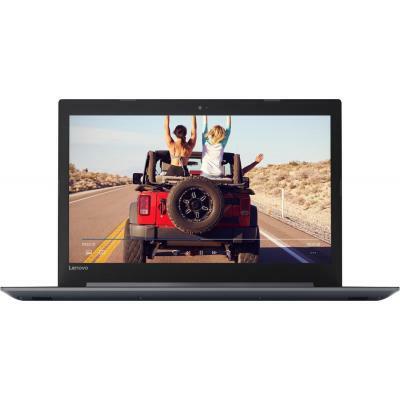 Ноутбук Lenovo IdeaPad G700G Black (59-381085) Intel Celeron 1005M-1.9/4.0 Gb/500Gb/DVD-RW/17.3" HD+ LED/Intel HD Graphics/LAN/WiFi/BT/WC/CR/DOS/2.9 кг. 12 мес. Ноутбук Lenovo IdeaPad G710A Black (59-391966) Intel Core i3-4000M-2.4/4.0 Gb/500Gb/DVD-RW/17.3" HD+ LED/Intel HD Graphics 4600/LAN/WiFi/BT/WC/CR/DOS/2.9 кг. 12 мес. 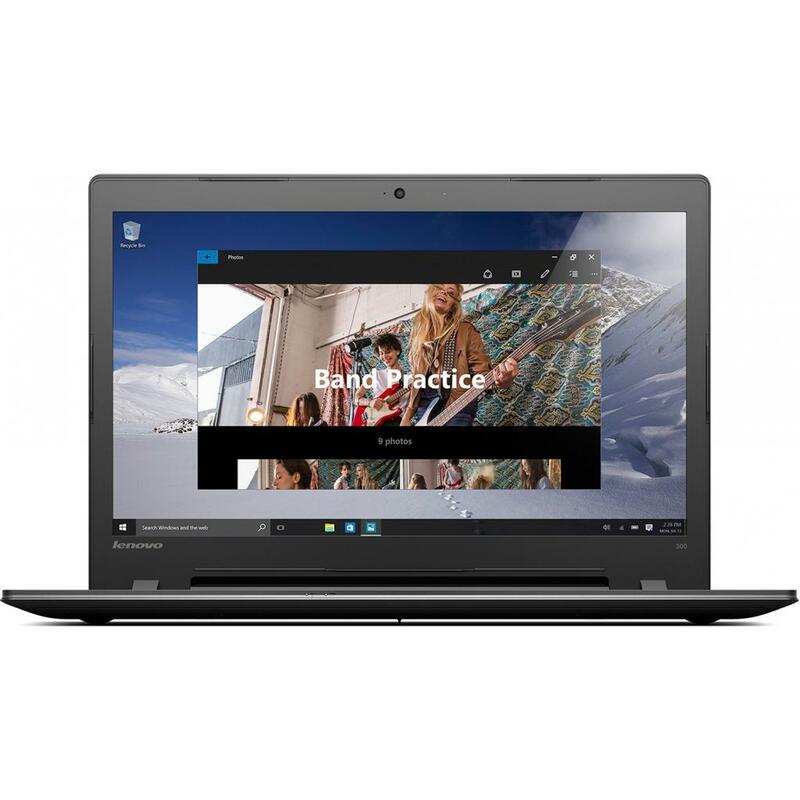 Lenovo IdeaPad Z710 Black (59-399560) 17.3" FullHD LED/Core i5-4200M/6GB/1TB/GF GT 740M/DVD SM/Wi-Fi/BT/WCam/DOS/2.9kg 12 мес. 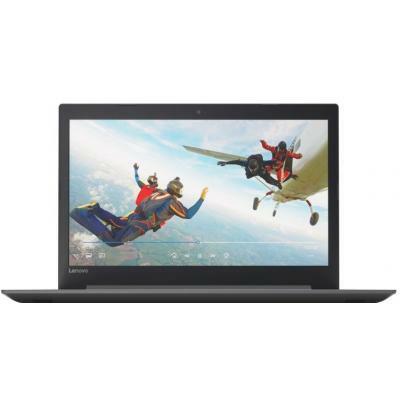 Ноутбук Lenovo IdeaPad G710A Black (59-402577) Intel Core i3-4000M-2.4/4.0 Gb/1.0Tb/DVD-RW/17.3" HD+ LED/GF GT 720M 2.0Gb/LAN/WiFi/BT/WC/CR/DOS/2.9 кг. 12 мес. 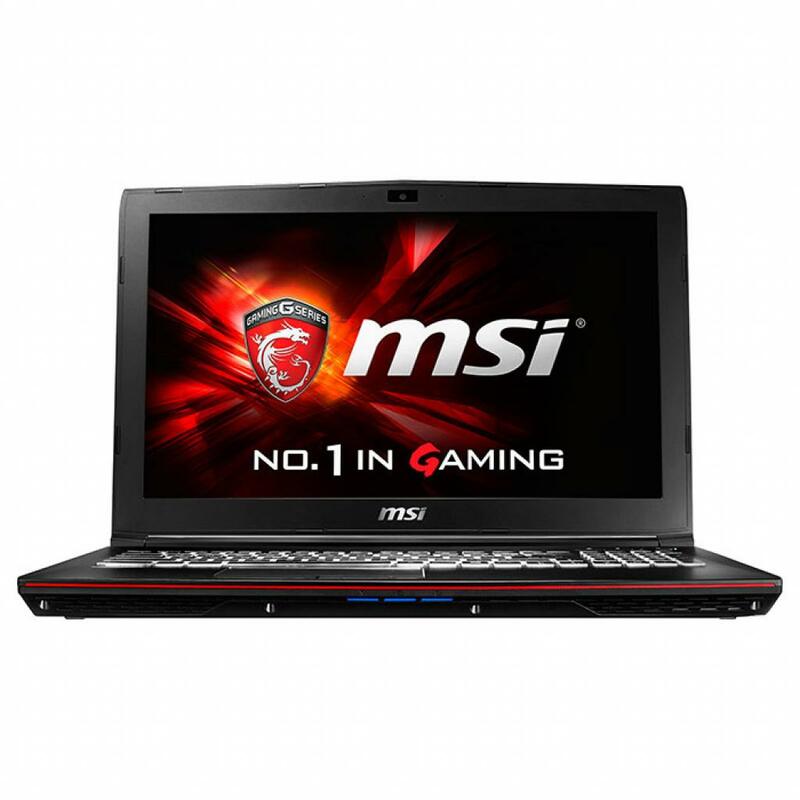 7RE-418XUA Ноутбук MSI GP72 (7RE-418XUA) 17.3', FullHD (1920 х 1080), Intel Core i7-7700HQ (2.8 - 3.8 ГГц), 16 ГБ, 1 ТБ, NVIDIA GeForce GTX 1050 Ti, 2 ГБ, DVD-SMulti, Bluetooth, Wi-Fi, Gigabit Ethernet, DOS, 6 cell, 2.7 кг, Black 12 мес. 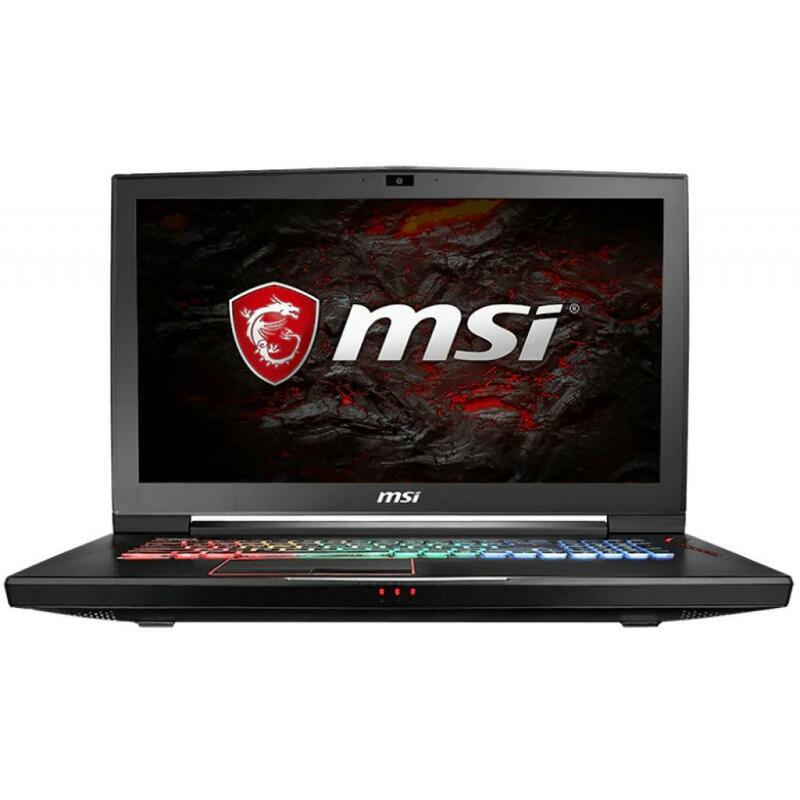 7RE-643UA Ноутбук MSI GT73VR 7RE (7RE-643UA) 17.3', 4К (3840x2160), IPS, Intel Core i7 7820HK (2.9 ГГц), 32 ГБ, 1 ТБ, 512 ГБ, NVIDIA Geforce GTX 1070, 8 ГБ, No ODD, Bluetooth, Wi-Fi, Killer Gb LAN, Windows 10 Home, 8 cell, 4.1 кг, Black 12 мес. 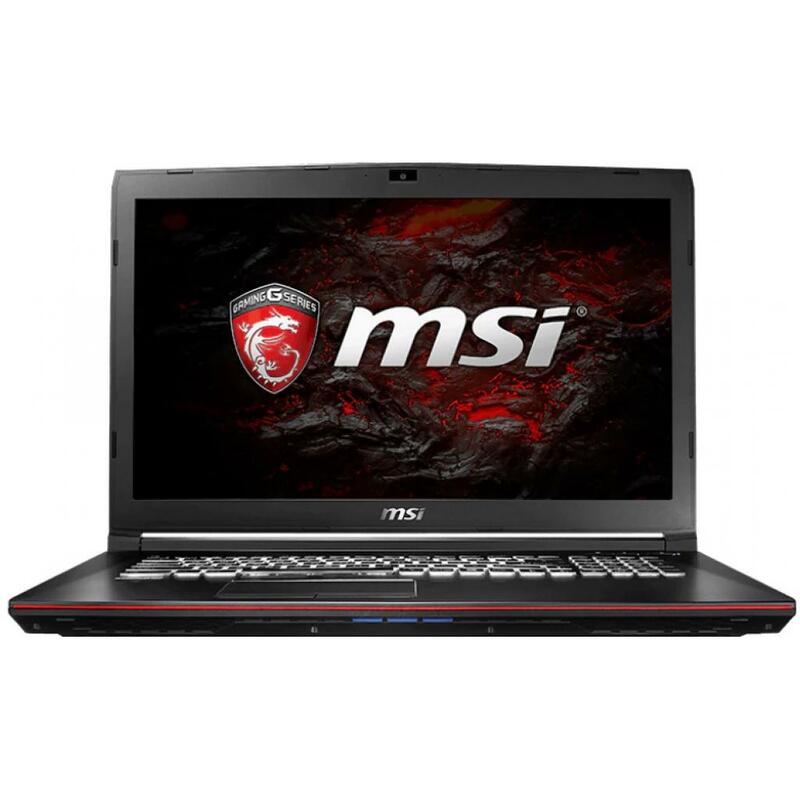 7RF-459UA Ноутбук MSI GP72VR (7RF-459UA) 17.3', FullHD (1920 х 1080), Intel Core i7-7700HQ (2.8 - 3.8 ГГц), 16 ГБ, 1 ТБ, 128 ГБ, NVIDIA Geforce GTX 1060, 3 ГБ, DVD-SMulti, Bluetooth, Wi-Fi, Gigabit Ethernet, Windows 10 Home, 6 cell, 2.7 кг, Black 12 мес. 7RF-460XUA Ноутбук MSI GP72VR (7RF-460XUA) 17.3', FullHD (1920 х 1080), Intel Core i7-7700HQ (2.8 - 3.8 ГГц), 16 ГБ, 1 ТБ, NVIDIA Geforce GTX 1060, 3 ГБ, DVD-SMulti, Bluetooth, Wi-Fi, Gigabit Ethernet, DOS, 6 cell, 2.7 кг, Black 12 мес. 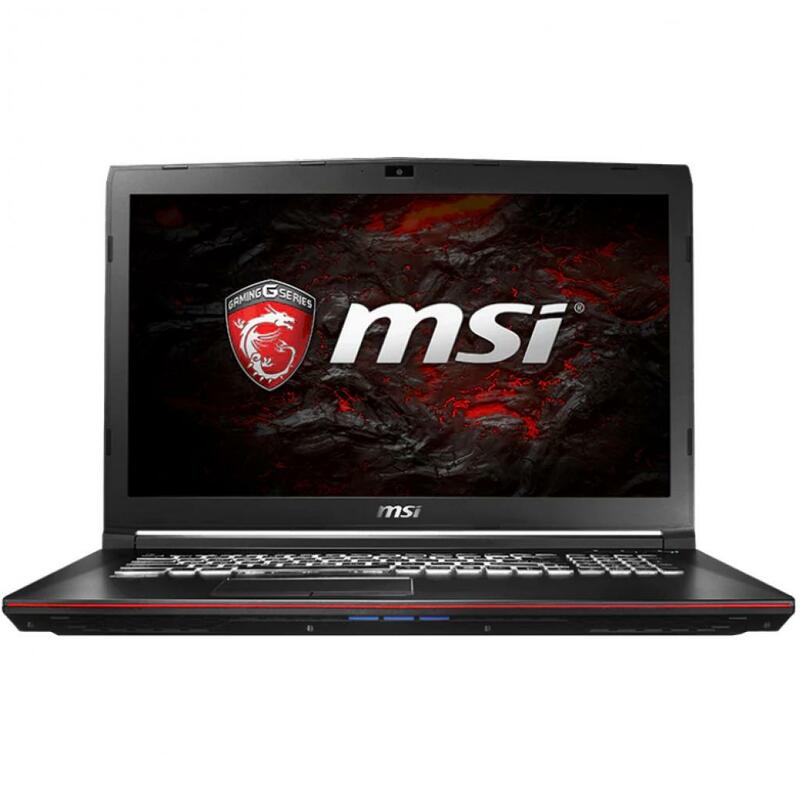 7RF-644UA Ноутбук MSI GT73VR (7RF-644UA) 17.3', 4К (3840x2160), Intel Core i7 7820HK (2.9 ГГц), 32 ГБ, 1 ТБ, 512 ГБ, NVIDIA Geforce GTX 1080, 8 ГБ, No ODD, Bluetooth, Wi-Fi, Gigabit Ethernet, Windows 10 Home, 8 cell, 4.1 кг, Black 12 мес. 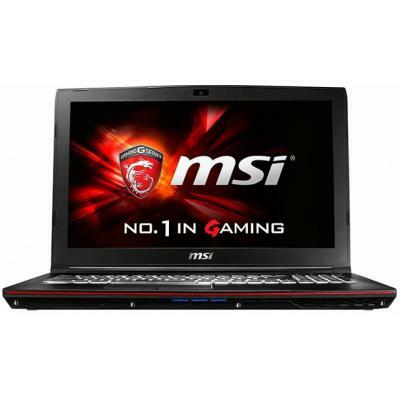 7RG-033XUA Ноутбук MSI GE72MVR (7RG-033XUA) 17.3', FullHD (1920 х 1080), Intel Core i7-7700HQ (2.8 - 3.8 ГГц), 16 ГБ, 1 ТБ, NVIDIA Geforce GTX 1070, 8 ГБ, No ODD, Bluetooth, Wi-Fi, Gigabit Ethernet, DOS, 6 cell, 2.9 кг, Black 12 мес. 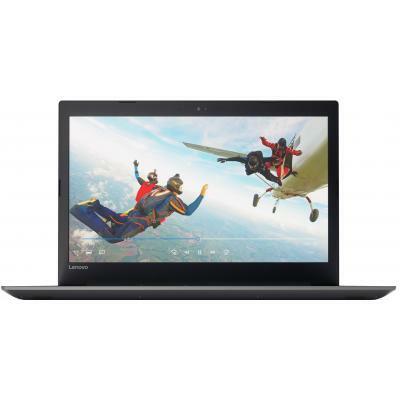 80FF00LYUA Ноутбук Lenovo IdeaPad G70-80 (80FF00LYUA) 17.3', HD+ (1600 x 900), TN+film, Intel Core i3 5005U (2.00 ГГц), 4 ГБ, 1 ТБ, NVIDIA GeForce 920M, 2 ГБ, No ODD, Bluetooth, Wi-Fi, Gigabit Ethernet, DOS, 4 cell, 2.9 кг, Black 12 мес. 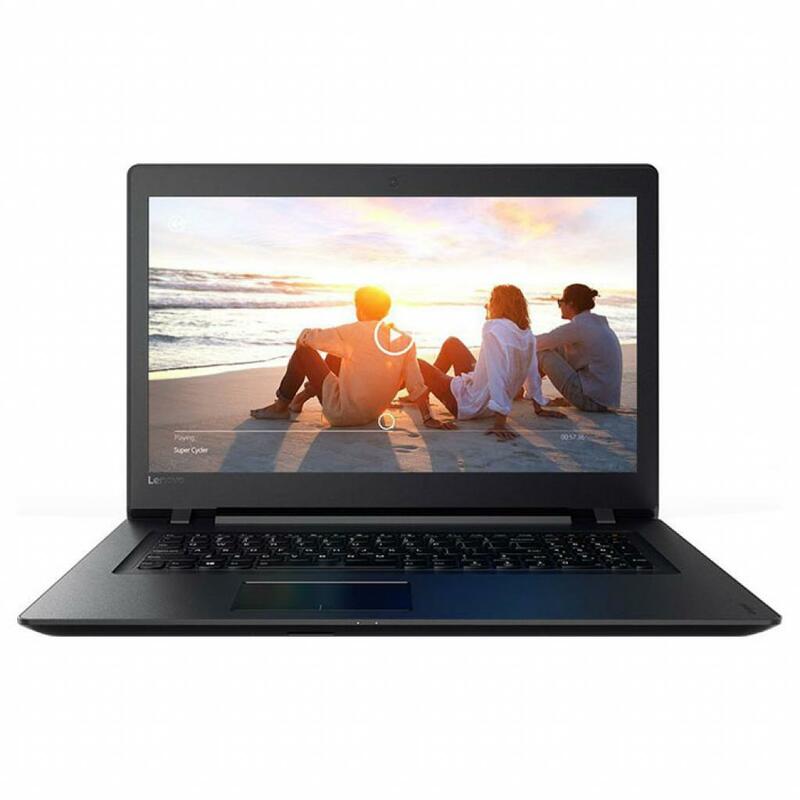 80FF00M0UA Ноутбук Lenovo IdeaPad G70-80 (80FF00M0UA) 17.3', HD+ (1600 x 900), TN+film, Intel Core i3 5005U (2.00 ГГц), 4 ГБ, 500 ГБ, Intel HD, No ODD, Bluetooth, Wi-Fi, Gigabit Ethernet, DOS, 4 cell, 2.9 кг, Black 12 мес. 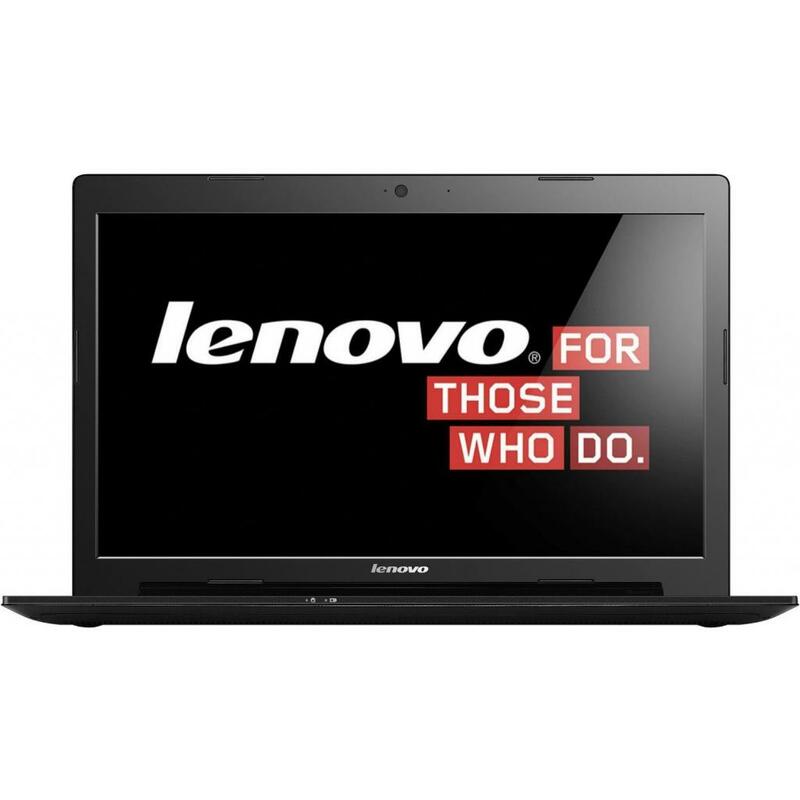 80FF00M1UA Ноутбук Lenovo IdeaPad G70-80 (80FF00M1UA) 17.3', HD+ (1600 x 900), TN+film, Intel Core i3 5005U (2.00 ГГц), 4 ГБ, 1 ТБ, Intel HD, No ODD, Bluetooth, Wi-Fi, Gigabit Ethernet, DOS, 4 cell, 2.9 кг, Black 12 мес. 80FF00M2UA Ноутбук Lenovo IdeaPad G70-80 (80FF00M2UA) 17.3', HD+ (1600 x 900), TN+film, Intel Core i3 5005U (2.00 ГГц), 4 ГБ, 500 ГБ, NVIDIA GeForce 920M, 2 ГБ, No ODD, Bluetooth, Wi-Fi, Gigabit Ethernet, DOS, 4 cell, 2.9 кг, Black 12 мес. 80Q1006GRA Ноутбук Lenovo IdeaPad Y900 (80Q1006GRA) 17.3', FullHD (1920 х 1080), IPS, Intel Core i7 6820HK (2.7 - 3.6 ГГц), 32 ГБ, 1 ТБ, 512 ГБ, NVIDIA GeForce GTX 980M, 8 ГБ, ext.DVD-SMulti, Bluetooth, Wi-Fi, Gigabit Ethernet, Windows 10 Home High End 64 12 мес. 80Q1006HRA Ноутбук Lenovo IdeaPad Y900 (80Q1006HRA) 17.3', FullHD (1920 х 1080), IPS, Intel Core i7 6820HK (2.7 - 3.6 ГГц), 8 ГБ, 1 ТБ, 128 ГБ, NVIDIA GeForce GTX 980M, 8 ГБ, ext.DVD-SMulti, Bluetooth, Wi-Fi, Gigabit Ethernet, Windows 10 Home High End 64b 12 мес. 80Q1006KRA Ноутбук Lenovo IdeaPad Y900 (80Q1006KRA) 17.3', FullHD (1920 х 1080), IPS, Intel Core i7 6820HK (2.7 - 3.6 ГГц), 16 ГБ, 1 ТБ, 256 ГБ, NVIDIA GeForce GTX 980M, 8 ГБ, ext.DVD-SMulti, Bluetooth, Wi-Fi, Gigabit Ethernet, Windows 10 Home High End 64 12 мес. 80RV007JRA Ноутбук Lenovo IdeaPad 700 (80RV007JRA) 17.3', FullHD (1920 х 1080), IPS, Intel Core i7 6700HQ (2.6 - 3.5 ГГц), 16 ГБ, 1 ТБ, 256 ГБ, NVIDIA GeForce GTX 950M, 4 ГБ, No ODD, Bluetooth, Wi-Fi, Gigabit Ethernet, DOS, 3 cell, 2.7 кг, Black 12 мес. 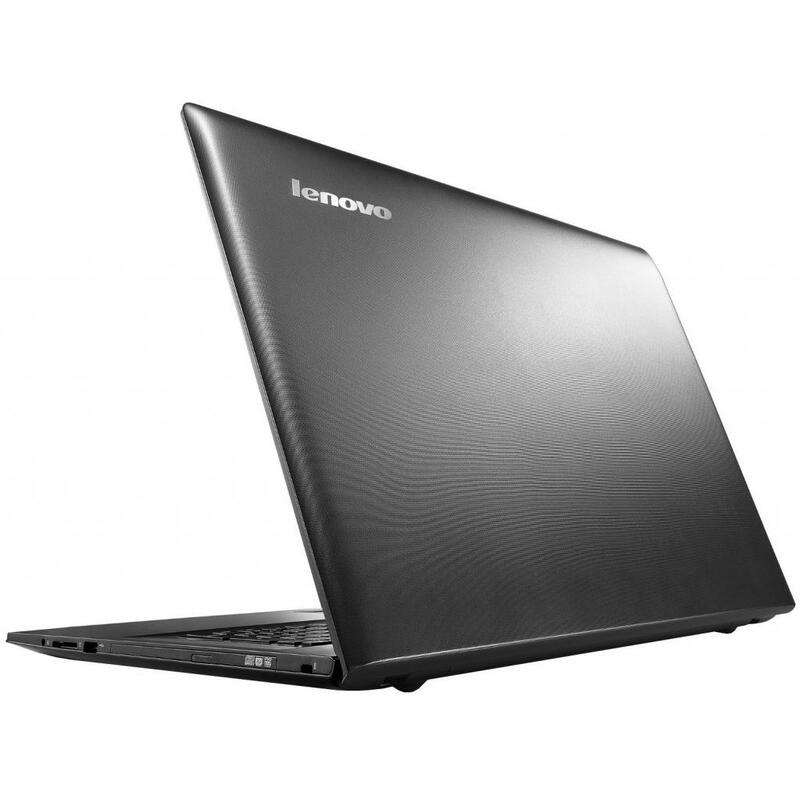 80UM002ERA Ноутбук Lenovo IdeaPad 110-17 (80UM002ERA) 17.3', HD+ (1600 x 900), TN+film, AMD E1 7010 (1.5 ГГц), 4 ГБ, 500 ГБ, AMD Radeon R2, No ODD, Bluetooth, Wi-Fi, LAN (RJ-45), DOS, 4 cell, 2.8 кг, Black 12 мес. 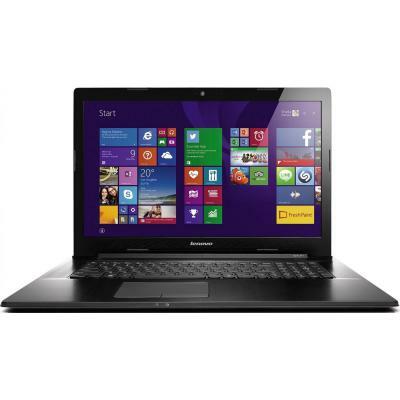 80UM002FRA Ноутбук Lenovo IdeaPad 110-17 (80UM002FRA) 17.3', HD+ (1600 x 900), TN+film, AMD A6 7310 (2.0 ГГц), 4 ГБ, 500 ГБ, AMD Radeon R4, No ODD, Bluetooth, Wi-Fi, LAN (RJ-45), DOS, 4 cell, 2.8 кг, Black 12 мес. 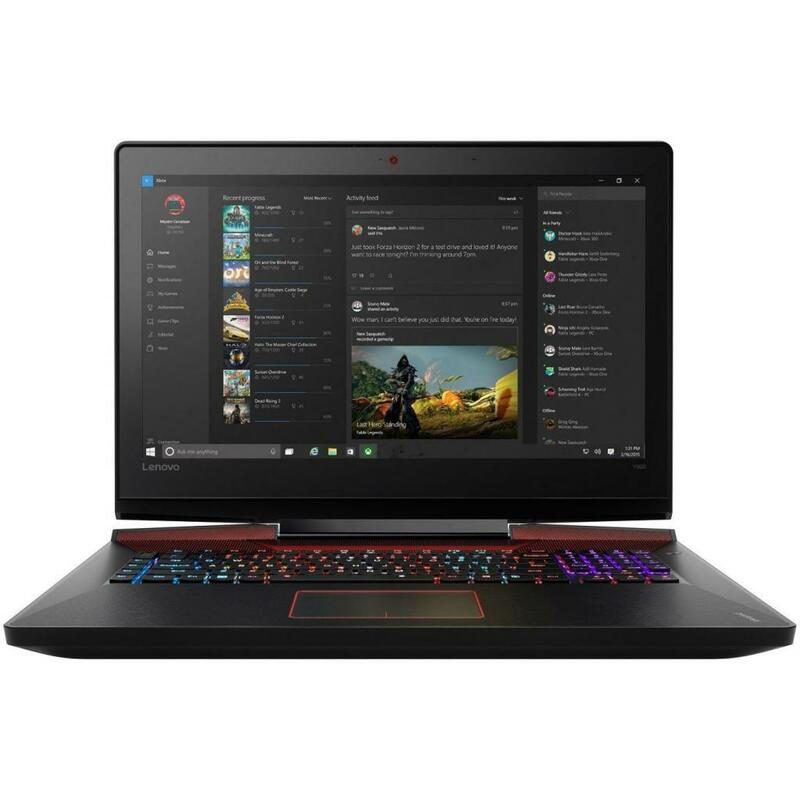 80V1000XRA Ноутбук Lenovo IdeaPad Y910-17ISK (80V1000XRA) 17.3', FullHD (1920 х 1080), IPS, Intel Core i7 6700HQ (2.6 - 3.5 ГГц), 16 ГБ, 1 ТБ, 256 ГБ, NVIDIA Geforce GTX 1070, 8 ГБ, DVD-SMulti, Bluetooth, Wi-Fi, Gigabit Ethernet, Windows 10 Home, 6 cell, 12 мес. 80VL000DUA Ноутбук Lenovo IdeaPad 110-17 (80VL000DUA) 17.3', HD+ (1600 x 900), TN+film, Intel Core i3 6006U (2.0 ГГц), 4 ГБ, 1 ТБ, Intel HD Graphics 520, No ODD, Bluetooth, Wi-Fi, Gigabit Ethernet, DOS, 4 cell, 2.8 кг, Black 12 мес. 80XJ0027RA Ноутбук Lenovo IdeaPad 320-17 (80XJ0027RA) 17.3', HD+ (1600 x 900), TN+film, Intel Core i3 6006U (2.0 ГГц), 4 ГБ, 1 ТБ, Intel HD Graphics 520, No ODD, Bluetooth, Wi-Fi, LAN (RJ-45), DOS, 2 cell, 2.8 кг, Grey 12 мес. 80XJ002FRA Ноутбук Lenovo IdeaPad 320-17 (80XJ002FRA) 17.3', HD+ (1600 x 900), TN+film, Intel Core i3 6006U (2.0 ГГц), 4 ГБ, 500 ГБ, NVIDIA GeForce 920MX, 2 ГБ, No ODD, Bluetooth, Wi-Fi, LAN (RJ-45), DOS, 2 cell, 2.8 кг, Black 12 мес. 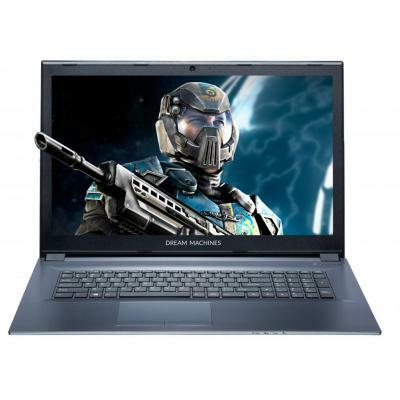 80XJ002HRA Ноутбук Lenovo IdeaPad 320-17 (80XJ002HRA) 17.3', HD+ (1600 x 900), TN+film, Intel Core i3 6006U (2.0 ГГц), 8 ГБ, 1 ТБ, NVIDIA GeForce 920MX, 2 ГБ, No ODD, Bluetooth, Wi-Fi, LAN (RJ-45), DOS, 2 cell, 2.2 кг, Black 12 мес. 80XJ004ERA Ноутбук Lenovo IdeaPad 320-17 (80XJ004ERA) 17.3', HD+ (1600 x 900), TN+film, Intel Core i3 6006U (2.0 ГГц), 8 ГБ, 1 ТБ, Intel HD Graphics, DUMMY ODD, Bluetooth, Wi-Fi, LAN (RJ-45), DOS, 2 cell, 2.8 кг, Black 12 мес. 80XM00A7RA Ноутбук Lenovo IdeaPad 320-17 (80XM00A7RA) 17.3', HD+ (1600 x 900), TN+film, Intel Core i3 7100U (2.4 ГГц), 4 ГБ, 1 ТБ, NVIDIA GeForce GT 940MX, 2 ГБ, DVD±RW, Bluetooth, Wi-Fi, LAN (RJ-45), DOS, 2 cell, 2.8 кг, Grey 12 мес. 80XM00AARA Ноутбук Lenovo IdeaPad 320-17 (80XM00AARA) 17.3', FullHD (1920 х 1080), IPS, Intel Core i5 7200U (2.5-3.1 ГГц), 12 ГБ, 1 ТБ, 128 ГБ, NVIDIA GeForce GT 940MX, 4 ГБ, DVD±RW, Bluetooth, Wi-Fi, LAN (RJ-45), DOS, 2 cell, 2.8 кг, Grey 12 мес. 80XM00ADRA Ноутбук Lenovo IdeaPad 320-17 (80XM00ADRA) 17.3', FullHD (1920 х 1080), IPS, Intel Core i7-7500U (2.7-3.5GHz), 12 ГБ, 1 ТБ, 128 ГБ, NVIDIA GeForce GT 940MX, 4 ГБ, DVD±RW, Bluetooth, Wi-Fi, LAN (RJ-45), DOS, 2 cell, 2.8 кг, Grey 12 мес. 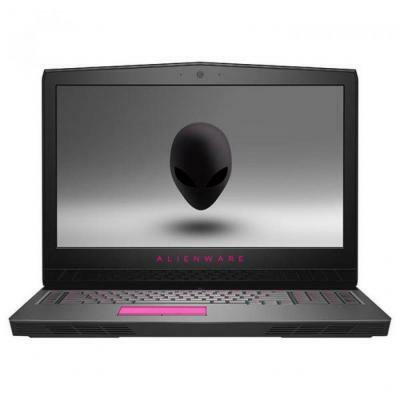 80XM00KKRA Ноутбук Lenovo IdeaPad 320-17 (80XM00KKRA) 17.3', HD+ (1600 x 900), TN+film, Intel Core i3 7130U (2.7 ГГц), 8 ГБ, 1 ТБ, NVIDIA GeForce GT 940MX, 2 ГБ, DUMMY ODD, Bluetooth, Wi-Fi, LAN (RJ-45), DOS, 2 cell, 2.8 кг, Black 12 мес. 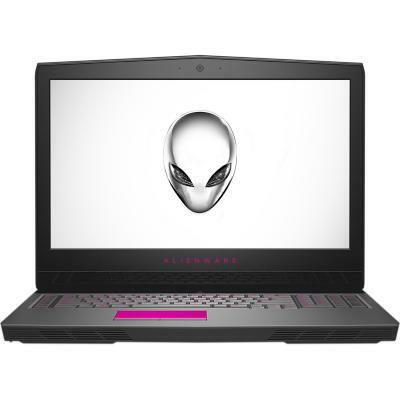 80XM00KMRA Ноутбук Lenovo IdeaPad 320-17 (80XM00KMRA) 17.3', HD+ (1600 x 900), TN+film, Intel Core i5 7200U (2.5-3.1 ГГц), 8 ГБ, 1 ТБ, NVIDIA GeForce 920MX, 2 ГБ, DUMMY ODD, Bluetooth, Wi-Fi, LAN (RJ-45), DOS, 2 cell, 2.8 кг, Grey 12 мес. 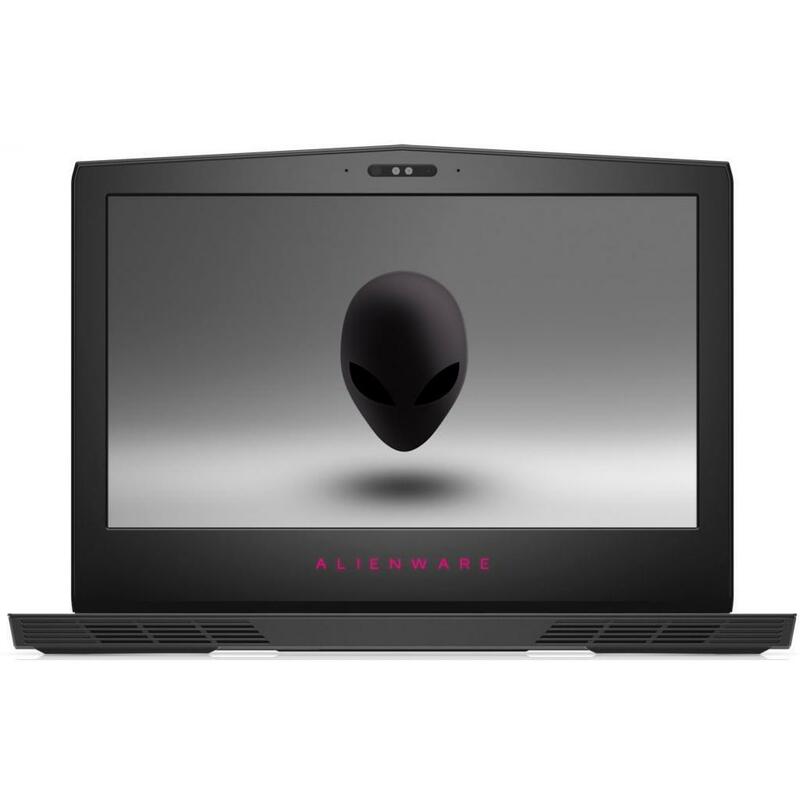 80XM00KNRA Ноутбук Lenovo IdeaPad 320-17 (80XM00KNRA) 17.3', HD+ (1600 x 900), TN+film, Intel Core i3 7130U (2.7 ГГц), 8 ГБ, 1 ТБ, NVIDIA GeForce GT 940MX, 2 ГБ, DUMMY ODD, Bluetooth, Wi-Fi, LAN (RJ-45), DOS, 2 cell, 2.8 кг, Grey 12 мес. 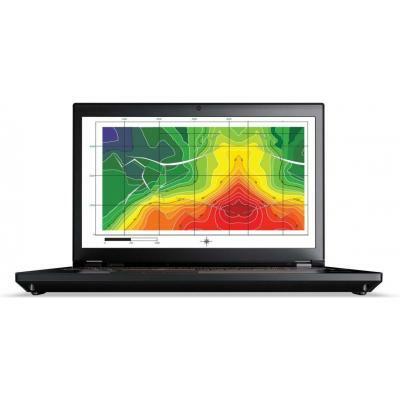 81AH0026RA Ноутбук Lenovo V320 (81AH0026RA) 17.3', HD+ (1600 x 900), TN+film, Intel Core i5 7200U (2.5-3.1 ГГц), 8 ГБ, 500 ГБ, Intel HD Graphics, DVD±RW, Bluetooth, Wi-Fi, LAN (RJ-45), DOS, 2 cell, 2.8 кг, Grey 12 мес. 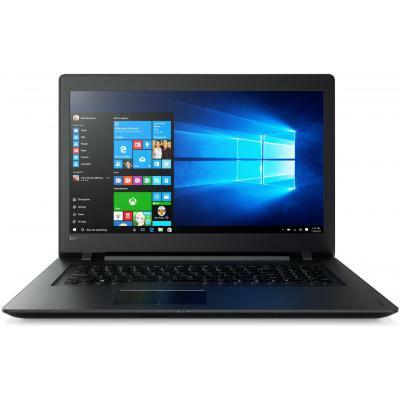 81BJ003HRA Ноутбук Lenovo IdeaPad 320-17 (81BJ003HRA) 17.3', FullHD (1920 х 1080), IPS, Intel Core i7 8550U (1.8 - 4.0 ГГц), 8 ГБ, отсутствует, 256 ГБ, NVIDIA GeForce MX150, 4 ГБ, No ODD, Bluetooth, Wi-Fi, LAN (RJ-45), DOS, 2 cell, 2.8 кг, Black 12 мес. 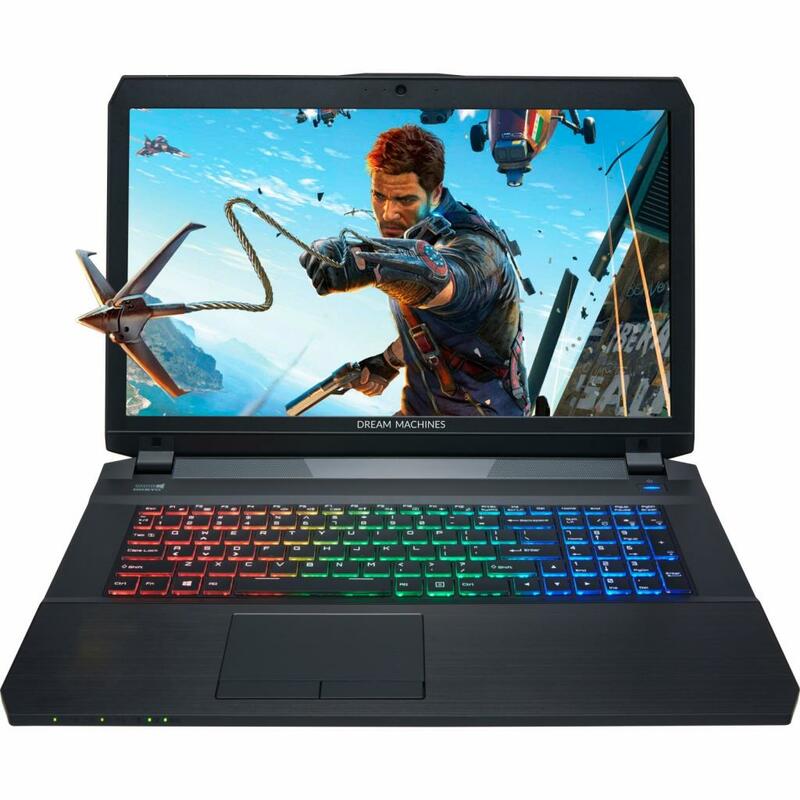 81BJ005GRA Ноутбук Lenovo IdeaPad 320-17 (81BJ005GRA) 17.3', FullHD (1920 х 1080), IPS, Intel Core i5 8250U (1.6 - 3.4 ГГц), 16 ГБ, 1 ТБ, NVIDIA GeForce MX150, 4 ГБ, DUMMY ODD, Bluetooth, Wi-Fi, LAN (RJ-45), DOS, 2 cell, 2.8 кг, Black 12 мес. 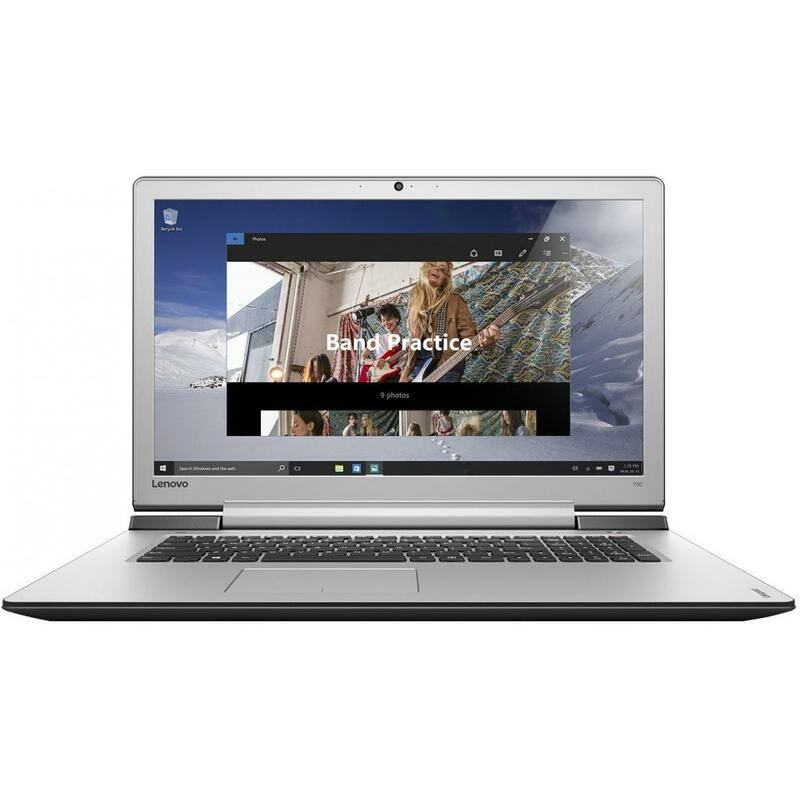 81BJ005HRA Ноутбук Lenovo IdeaPad 320-17 (81BJ005HRA) 17.3', FullHD (1920 х 1080), IPS, Intel Core i7 8550U (1.8 - 4.0 ГГц), 16 ГБ, 1 ТБ, 128 ГБ, NVIDIA GeForce MX150, 4 ГБ, No ODD, Bluetooth, Wi-Fi, LAN (RJ-45), DOS, 2 cell, 2.8 кг, Black 12 мес. 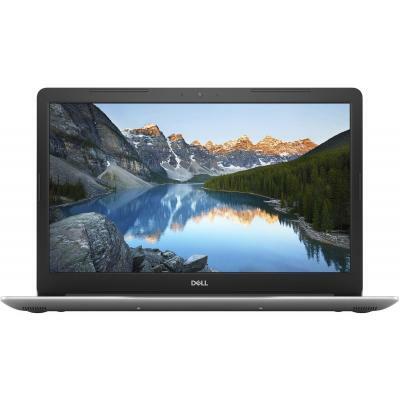 81BJ005JRA Ноутбук Lenovo IdeaPad 320-17 (81BJ005JRA) 17.3', HD+ (1600 x 900), TN+film, Intel Core i5 8250U (1.6 - 3.4 ГГц), 8 ГБ, 2 ТБ, NVIDIA GeForce MX150, 2 ГБ, DUMMY ODD, Bluetooth, Wi-Fi, LAN (RJ-45), DOS, 2 cell, 2.8 кг, Grey 12 мес. 81BJ005KRA Ноутбук Lenovo IdeaPad 320-17 (81BJ005KRA) 17.3', FullHD (1920 х 1080), IPS, Intel Core i7 8550U (1.8 - 4.0 ГГц), 8 ГБ, 1 ТБ, NVIDIA GeForce MX150, 4 ГБ, DUMMY ODD, Bluetooth, Wi-Fi, LAN (RJ-45), DOS, 2 cell, 2.8 кг, Grey 12 мес. 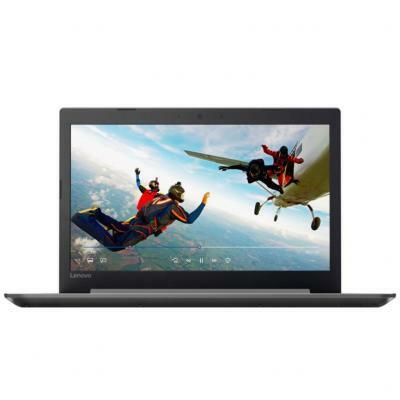 81BJ005LRA Ноутбук Lenovo IdeaPad 320-17 (81BJ005LRA) 17.3', FullHD (1920 х 1080), IPS, Intel Core i5 8250U (1.6 - 3.4 ГГц), 16 ГБ, 1 ТБ, 128 ГБ, NVIDIA GeForce MX150, 4 ГБ, No ODD, Bluetooth, Wi-Fi, LAN (RJ-45), DOS, 2 cell, 2.8 кг, Grey 12 мес. 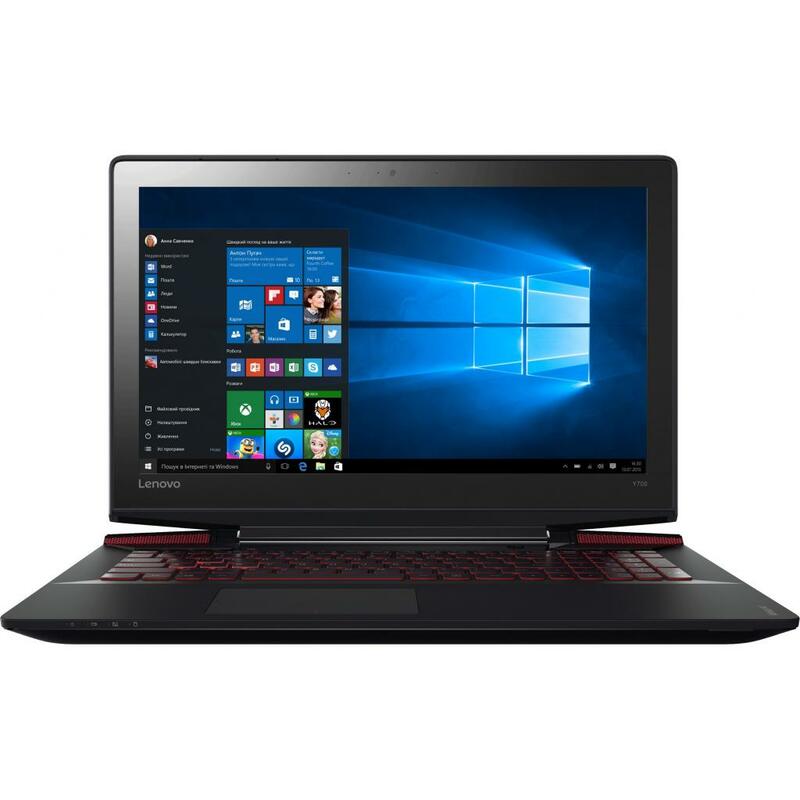 81BJ005MRA Ноутбук Lenovo IdeaPad 320-17 (81BJ005MRA) 17.3', FullHD (1920 х 1080), IPS, Intel Core i7 8550U (1.8 - 4.0 ГГц), 16 ГБ, 1 ТБ, NVIDIA GeForce MX150, 4 ГБ, DUMMY ODD, Bluetooth, Wi-Fi, LAN (RJ-45), DOS, 2 cell, 2.8 кг, Grey 12 мес. 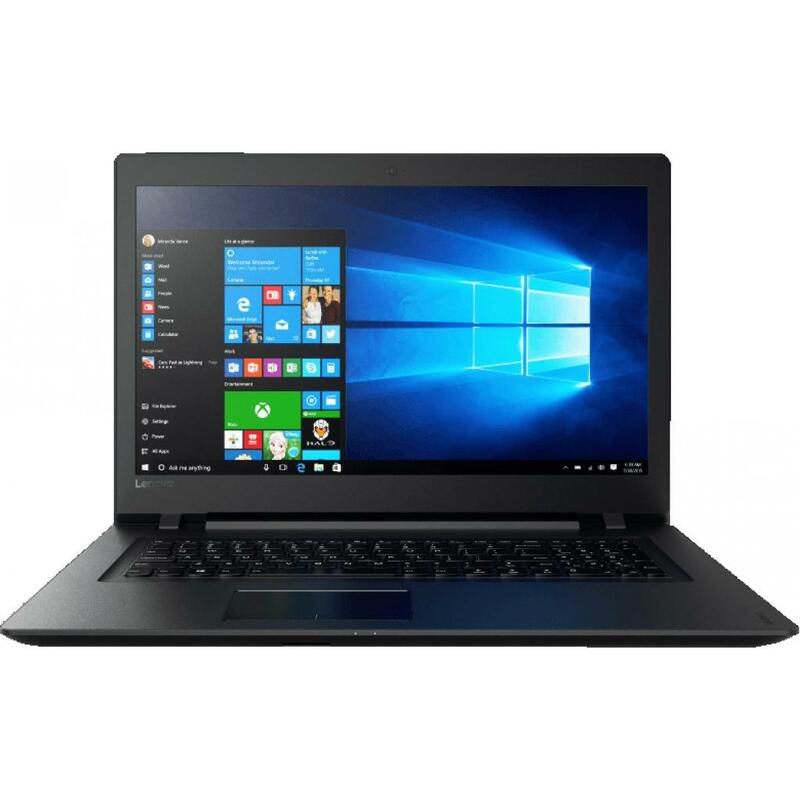 81BJ005QRA Ноутбук Lenovo IdeaPad 320-17 (81BJ005QRA) 17.3', HD+ (1600 x 900), TN+film, Intel Core i5 8250U (1.6 - 3.4 ГГц), 8 ГБ, 1 ТБ, NVIDIA GeForce MX150, 2 ГБ, DUMMY ODD, Bluetooth, Wi-Fi, LAN (RJ-45), DOS, 2 cell, 2.8 кг, Black 12 мес. 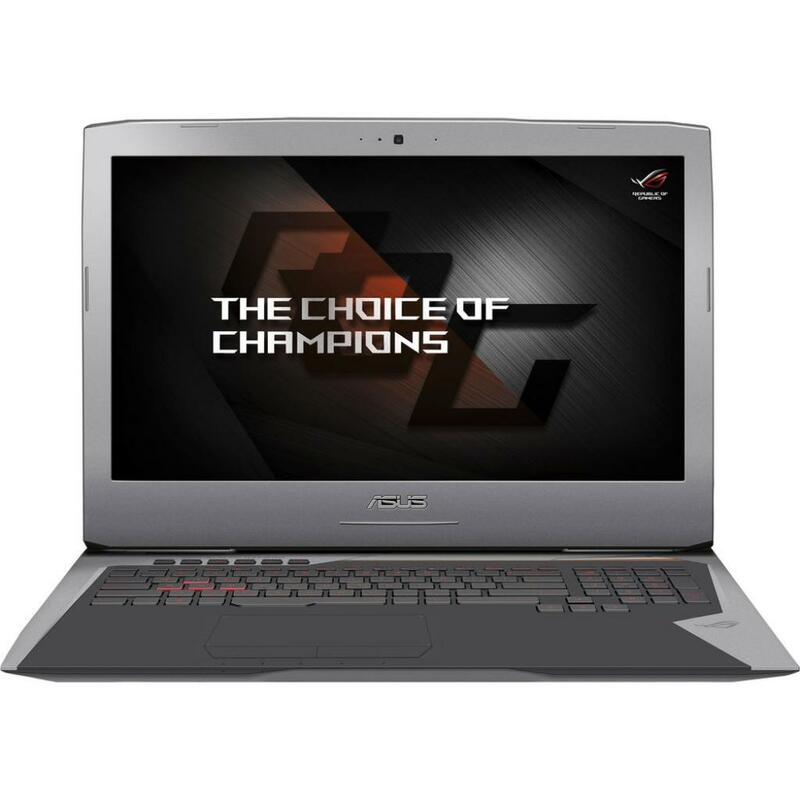 G1050-17UA20 Ноутбук Dream Machines Clevo G1050-17 (G1050-17UA20) 17.3', FullHD (1920 х 1080), IPS, Intel Core i7-7700HQ (2.8 - 3.8 ГГц), 8 ГБ, 1 ТБ, 120 ГБ, NVIDIA GeForce GTX 1050, 2 ГБ, No ODD, Bluetooth, Wi-Fi, LAN (RJ-45), DOS, 6 cell, 3.1 кг, Grey 12 мес. 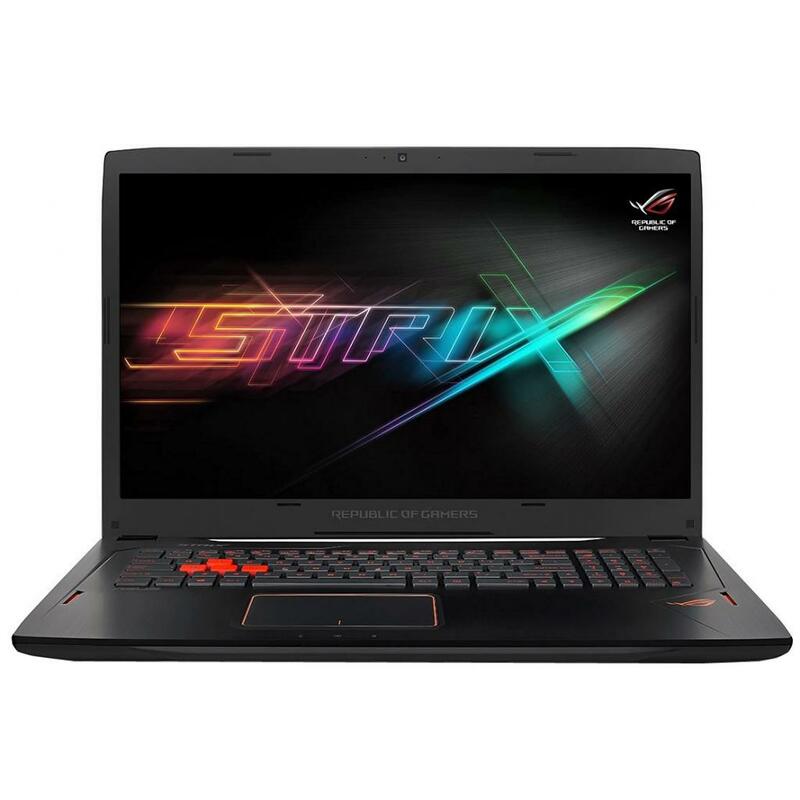 G1050-17UA22 Ноутбук Dream Machines Clevo G1050-17 (G1050-17UA22) 17.3', FullHD (1920 х 1080), IPS, Intel Core i7-7700HQ (2.8 - 3.8 ГГц), 16 ГБ, отсутствует, 500 ГБ, NVIDIA GeForce GTX 1050, 2 ГБ, No ODD, Bluetooth, Wi-Fi, Gigabit Ethernet, DOS, 6 cell, 3 12 мес. G1050Ti-17UA22 Ноутбук Dream Machines Clevo G1050Ti-17 (G1050Ti-17UA22) 17.3', FullHD (1920 х 1080), IPS, Intel Core i7-7700HQ (2.8 - 3.8 ГГц), 16 ГБ, отсутствует, 500 ГБ, NVIDIA GeForce GTX 1050 Ti, 4 ГБ, No ODD, Bluetooth, Wi-Fi, Gigabit Ethernet, DOS, 12 мес. 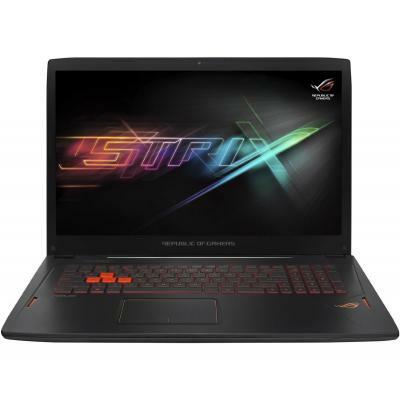 G1060-17UA22 Ноутбук Dream Machines Clevo G1060-17 (G1060-17UA22) 17.3', FullHD (1920 х 1080), IPS, Intel Core i7-7700HQ (2.8 - 3.8 ГГц), 16 ГБ, отсутствует, 500 ГБ, NVIDIA Geforce GTX 1060, 6 ГБ, No ODD, Bluetooth, Wi-Fi, Gigabit Ethernet, DOS, 6 cell, 3 12 мес. GE72MVR7RG-032UA Ноутбук MSI GE72MVR (GE72MVR7RG-032UA) 17.3', FullHD (1920 х 1080), Intel Core i7-7700HQ (2.8 - 3.8 ГГц), 16 ГБ, 1 ТБ, 128 ГБ, NVIDIA Geforce GTX 1070, 8 ГБ, No ODD, Bluetooth, Wi-Fi, Gigabit Ethernet, Windows 10 Home, 6 cell, 2.9 кг, Bla 12 мес. GE73RGB8RE-264UA Ноутбук MSI GE73-8RE (GE73RGB8RE-264UA) 17.3', FullHD (1920 х 1080), Intel Core i7 8750H (до 4.1 ГГц), 16 ГБ, 1 ТБ, 256 ГБ, NVIDIA Geforce GTX 1060, 4 ГБ, No ODD, Bluetooth, Wi-Fi, LAN (RJ-45), Windows 10 Home 64bit, 6 cell, 2.9 кг, Black 12 мес. 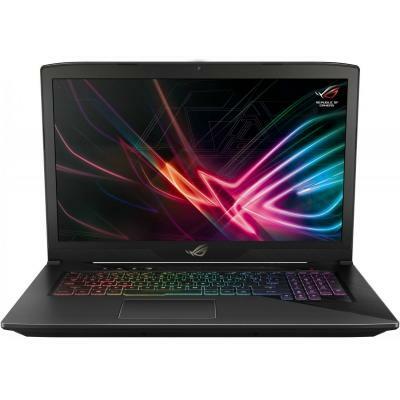 GE73RGB8RE-266XUA Ноутбук MSI GE73-8RE (GE73RGB8RE-266XUA) 17.3', FullHD (1920 х 1080), Intel Core i7 8750H (до 4.1 ГГц), 16 ГБ, 1 ТБ, 128 ГБ, NVIDIA Geforce GTX 1060, 6 ГБ, No ODD, Bluetooth, Wi-Fi, LAN (RJ-45), DOS, 6 cell, 2.9 кг, Black 12 мес. 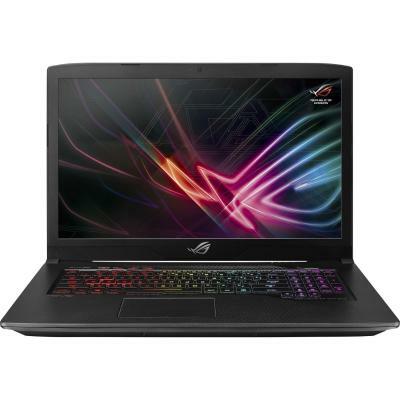 GE73RGB8RF-263UA Ноутбук MSI GE73-8RF (GE73RGB8RF-263UA) 17.3', FullHD (1920 х 1080), Intel Core i7 8750H (до 4.1 ГГц), 16 ГБ, 1 ТБ, 256 ГБ, NVIDIA Geforce GTX 1070, 8 ГБ, No ODD, Bluetooth, Wi-Fi, LAN (RJ-45), Windows 10 Home 64bit, 6 cell, 2.9 кг, Black 12 мес. 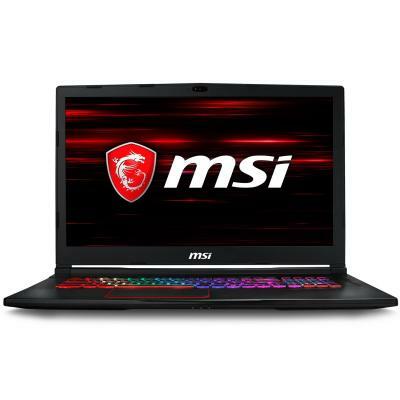 GE73RGB8RF-265XUA Ноутбук MSI GE73-8RF (GE73RGB8RF-265XUA) 17.3', FullHD (1920 х 1080), Intel Core i7 8750H (до 4.1 ГГц), 16 ГБ, 1 ТБ, 128 ГБ, NVIDIA Geforce GTX 1070, 8 ГБ, No ODD, Bluetooth, Wi-Fi, LAN (RJ-45), DOS, 6 cell, 2.9 кг, Black 12 мес. 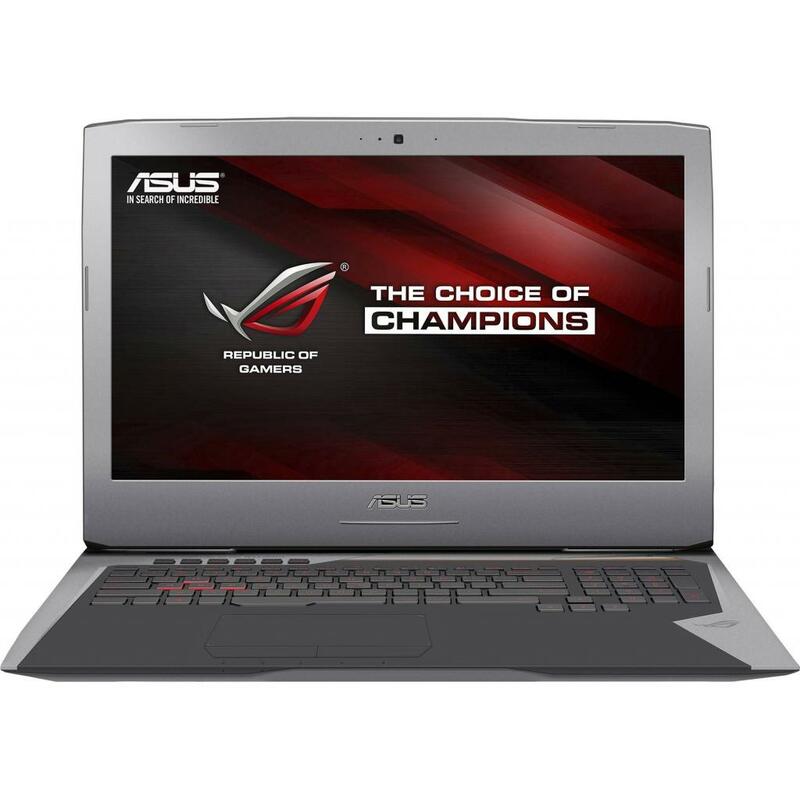 GL702ZC-GC189R Ноутбук ASUS GL702ZC (GL702ZC-GC189R) 17.3', FullHD (1920 х 1080), IPS, AMD R7-1700, 24 ГБ, 1 ТБ, 256 ГБ, AMD RX580, 4 ГБ, No ODD, Bluetooth, Wi-Fi, Windows 10 Pro, 4 cell, 3.2 кг, Black 12 мес. 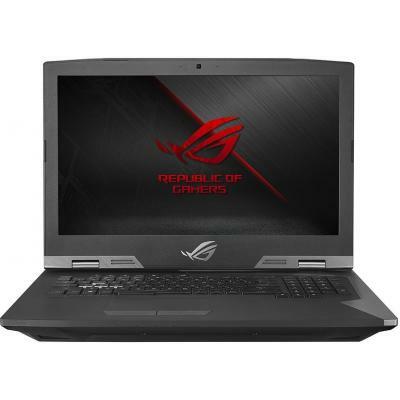 GL703VD-EE031T Ноутбук ASUS GL703VD (GL703VD-EE031T) 17.3', FullHD (1920 х 1080), Intel Core i5-7300HQ (2.5-3.5GHz), 16 ГБ, 1 ТБ, 128 ГБ, NVIDIA GeForce GTX 1050, 4 ГБ, No ODD, Bluetooth, Wi-Fi, Gigabit Ethernet, Windows 10 Home, 4 cell, 2.7 кг, Black 12 мес. GL703VD-GC033T Ноутбук ASUS GL703VD (GL703VD-GC033T) 17.3', FullHD (1920 х 1080), IPS, Intel Core i5-7300HQ (2.5-3.5GHz), 16 ГБ, 1 ТБ, 128 ГБ, NVIDIA GeForce GTX 1050, 4 ГБ, No ODD, Bluetooth, Wi-Fi, LAN (RJ-45), Windows 10, 4 cell, 2.7 кг, Black 12 мес. 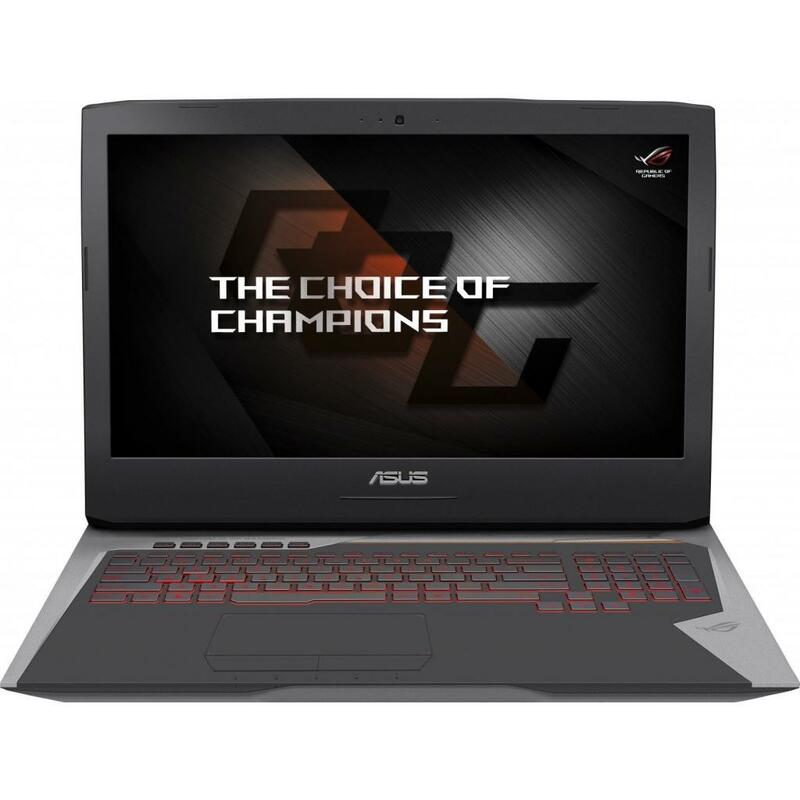 GL703VM-GC038T Ноутбук ASUS GL703VM (GL703VM-GC038T) 17.3', FullHD (1920 х 1080), IPS, Intel Core i5-7300HQ (2.5-3.5GHz), 8 ГБ, 1 ТБ, 8 ГБ, NVIDIA Geforce GTX 1060, 3 ГБ, No ODD, Bluetooth, Wi-Fi, Windows 10, 4 cell, 2.7 кг, Black 12 мес. GL753VD-GC180T Ноутбук ASUS GL753VD (GL753VD-GC180T) 17.3', FullHD (1920 х 1080), IPS, Intel Core i5-7300HQ (2.5-3.5GHz), 16 ГБ, 1 ТБ, 256 ГБ, NVIDIA GeForce GTX 1050, 4 ГБ, DVD±RW, Bluetooth, Wi-Fi, LAN (RJ-45), Windows 10, 4 cell, 2.8 кг, Black 12 мес. 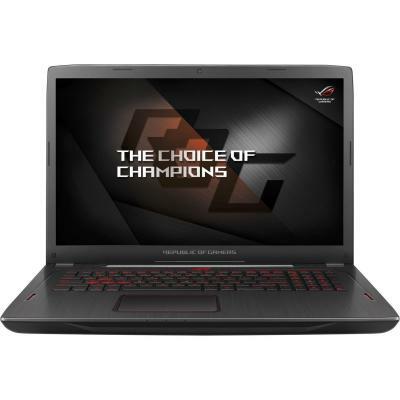 GP727QF-1042XUA Ноутбук MSI GP72-7QF (GP727QF-1042XUA) 17.3', FullHD (1920 х 1080), Intel Core i5-7300HQ, 8 ГБ, 1 ТБ, 128 ГБ, NVIDIA GeForce GTX 960M, 2 ГБ, DVD-SMulti, Bluetooth, Wi-Fi, Killer Gb LAN, DOS, 6 cell, 2.7 кг, Black 12 мес. GP727QF-1056XUA Ноутбук MSI GP72-7QF (GP727QF-1056XUA) 17.3', FullHD (1920 х 1080), Intel Core i5-7300HQ (2.5-3.5GHz), 8 ГБ, 1 ТБ, NVIDIA GeForce GTX 960M, 2 ГБ, DVD-SMulti, Bluetooth, Wi-Fi, Killer Gb LAN, DOS, 6 cell, 2.7 кг, Black 12 мес.